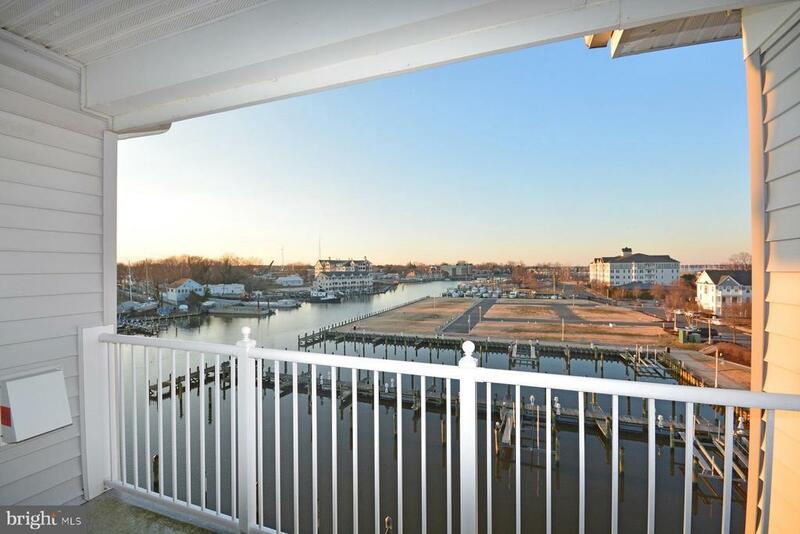 Desirable 4th floor waterfront unit overlooking Cambridge Creek! Ideal for full time or second home. Dorchester model featuring open floor plan, great views from waterfront balcony, master bedroom suite with master bath & walk in closet. Separate living & dining room, laundry room. Assigned parking spot in garage. Community amenities include pool, riverwalk and marina. Close to downtown and easy access to Route 50. Directions: Rt. 50E to Cambridge, right on Cedar Street, keep straight then make a right into Deep Harbour thru gates, building on left.